The cat eye look is very popular, and mastering this makeup technique is not too difficult. ★ You can have bright, expressive wings with a characteristic curve on the upper and lower eyelid. Try looking down into your mirror to help make your wings look straight. This is an important condition. ★ Your eyeliner should be vivid and noticeable. ★ You can choose eyeshadows of any color, from beige to exotic mint. But in everyday life it is best if you choose something that is not too flashy. Save bold, unexpected color combinations for evenings out. ★ Also, don’t forget about your eyebrows and eyelashes. Your eyebrows can have a slight bend to them, but do not overpluck them as you might leave them looking unfashionably threadlike. For your lashes, curl them with an eyelash curler and apply several coats of your favorite mascara. Long, curly eyelashes will successfully highlight your eye shape, reinforcing the impression of the makeup style. Eyes shaded by thick eyelashes will look charming and expressive. Each of us has a potential predator inside, and sometimes we want to set it free. 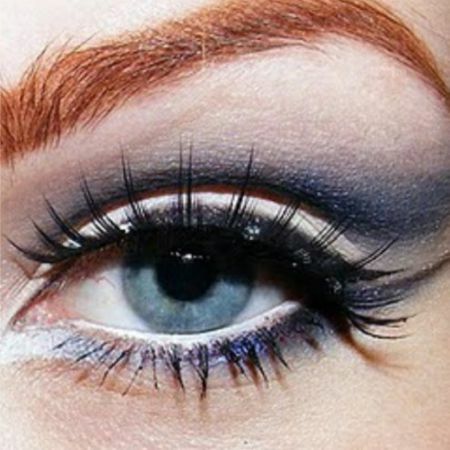 The cat eye makeup technique will help you with this. This makeup is suitable for virtually any eye shapes—small and large or round and narrow, they each have their own advantages. No wonder the cat eye makeup technique has been the beloved choice of well-known world stars for decades, starting with the beautiful Sophia Loren and ending with the unrivaled Lana del Rey. What The Cat Eye Makeup Technique? Of course, each star has her own style that she usually sticks to. What hinders you from creating such a style? You’re absolutely right—nothing! 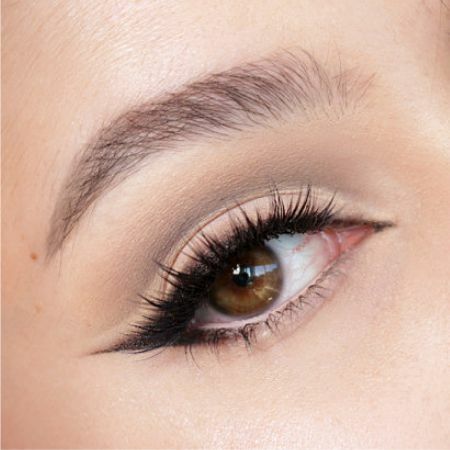 Study photos and videos, feel free to practice, and you can find the right color combinations for you to create the cat eye makeup look on your own. Your efforts will not be in vain, because when wearing such makeup any woman turns into a real star, a beauty that leaves an indelible mark in the hearts of others. Like the article «The Cat Eye Makeup Technique»? Share it with friends!